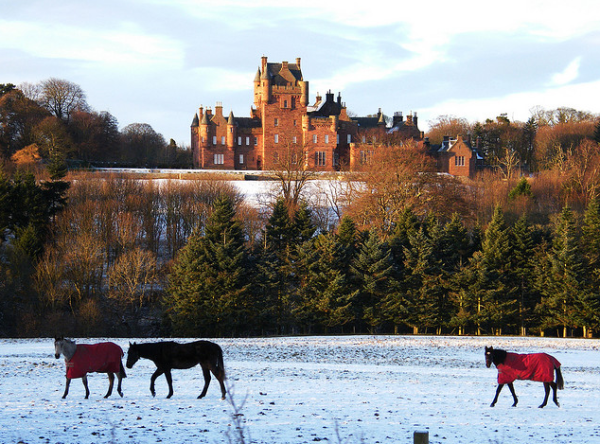 Ayton Castle is an important Scottish baronial mansion to the east of Ayton in the Scottish Borders. The present castle dates largely from the 19th century. 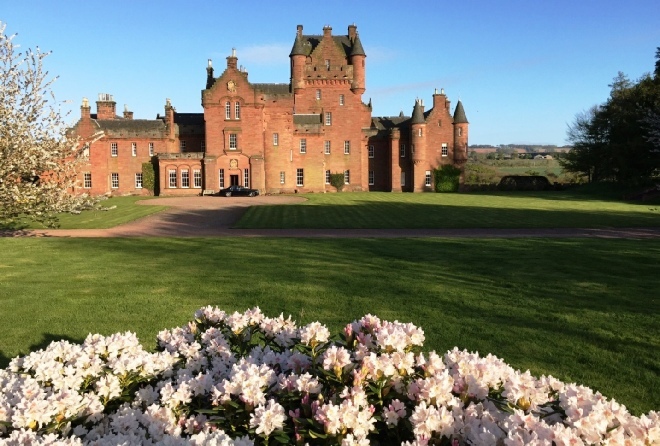 The castle is protected as a category A listed building and the grounds are included in the Inventory of Gardens and Designed Landscapes in Scotland, the national listing of significant parks and gardens. Ayton Castle is not open to the public, although it is open on certain days each year. Please check our Visiting Ayton Castle page for further details. Local people are permitted to walk up the South Drive to the cattle grid when the gates of the Gatehouse are open. Along the drive, one may enjoy pleasant views of the Eye Water, the Spring bulbs, and some magnificent parkland trees. Please note that dogs must be well behaved and that there is no car parking.